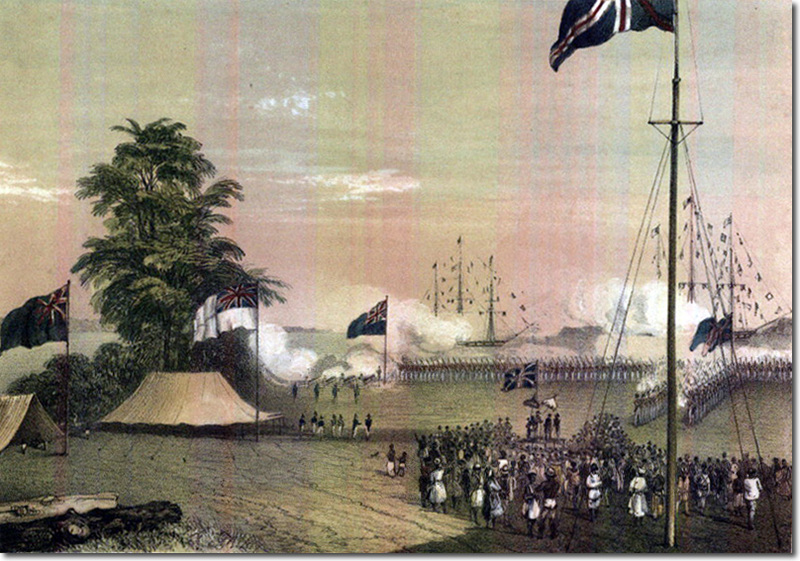 The arrival of the Royal Navy in support of James Brooke in the Bay of Brunei proved decisive. In return for Britain's support for the Sultan, he promised to apologise, punish the transgressors, recognise James Brooke's titles (without tribute) and grant the island of Labuan to British Crown Rule (not to James Brooke's Sarawak). The island was situated at the approaches of the Bay of Brunei and would offer an ideal base for the Royal Navy to prosecute their anti-piracy campaigns from.